How did it happen that it is already the holiday season? I feel like I blinked and several months went by. I need more time. Time is what I need. How about you? I’m sure you feel the same way. 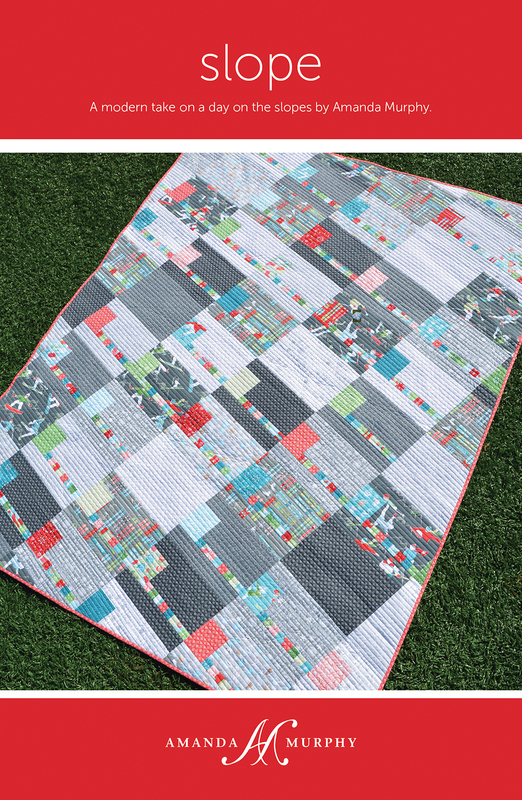 Now that Winter Games is popping up in stores I thought I’d take some TIME to write a post about my new patterns that debuted at Market. You all have seen “Winter Sports” by now. I’d love to see a bed runner version of this one, with just a few of your favorite athletes for blocks! “Winter Sports”, of course, comes with SVG files to save time with digital fabric cutters. 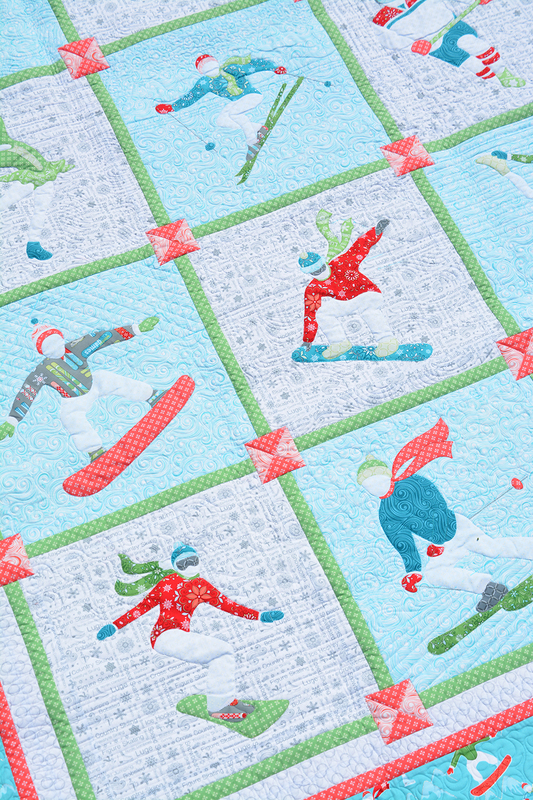 But I also wanted to do a more modern quilt featuring skiers. I had so many ranges of grey to play with in this line and “Slope” takes full advantage of this! 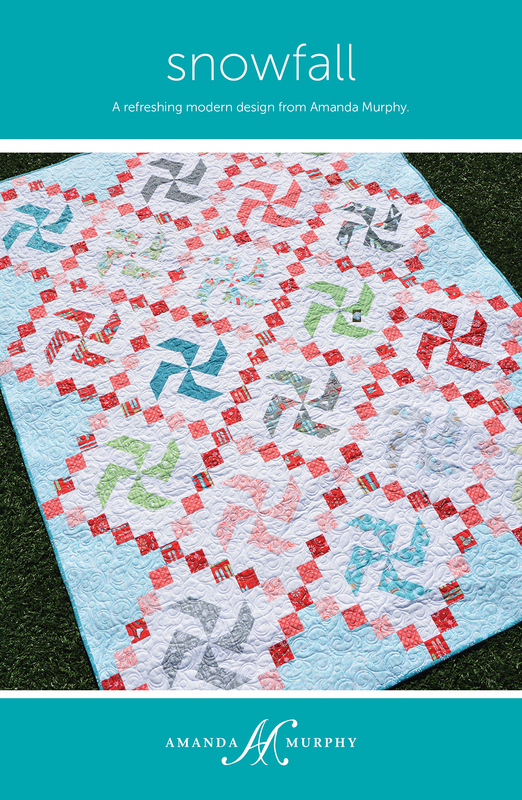 I JUST LOVE THIS QUILT! Next up is “Snowfall”. 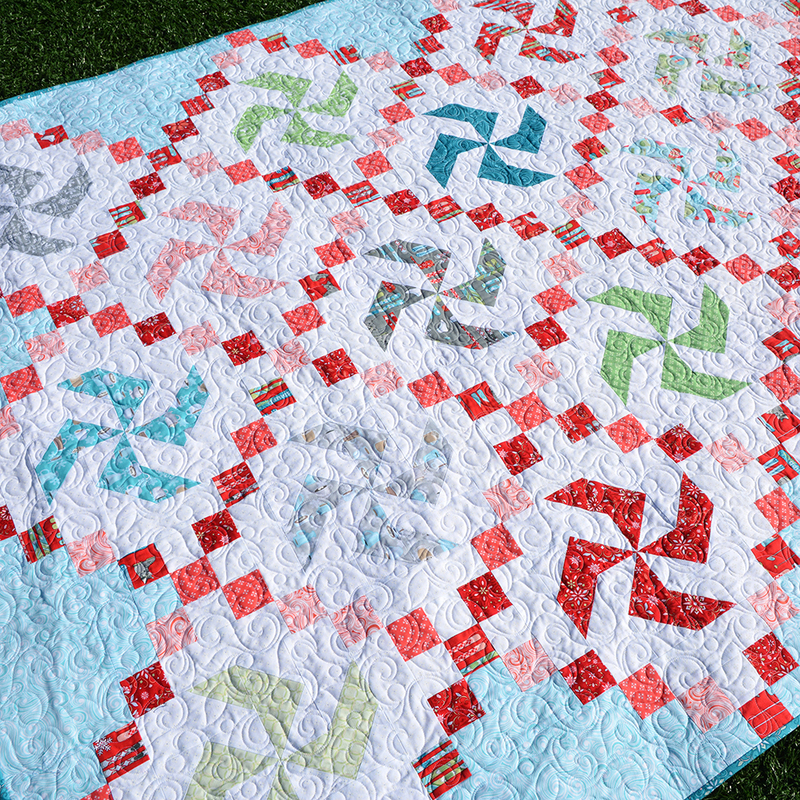 You all know that I love doing quilts that feature two different backgrounds. This is a play on that idea, with one background functioning as an integrated border. And last, but definitely not least, is “Fa La La Latte”, my placemat and table runner pattern. The runner can also be finished as an oblong pillow. I will get over any embarrassment about the obvious fact that I am inspired by my stomach to tell you that this one comes with a download code for SVG files AND also digital files for those of you who like to “applique-in-the-hoop”. 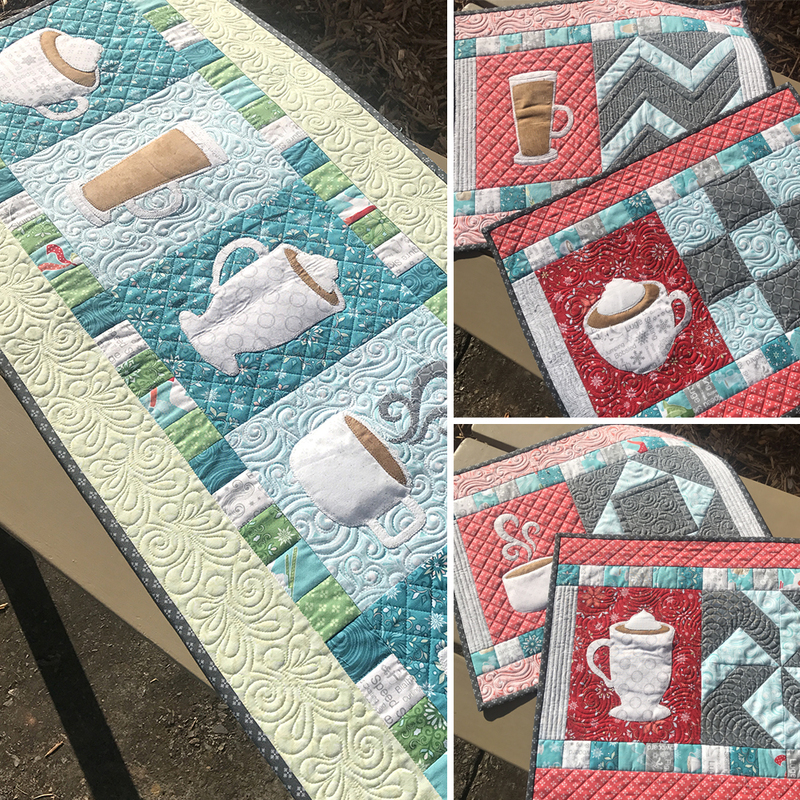 And guess what – all five mugs of delicious beverages will fit in a BERNINA oval hoop. Altogether I love how the collection turned out and I hope you do too! If you are lucky enough to have a local quilt shop please ask them to order the fabric and patterns – we need to support our local shops! If you don’t have a local shop the patterns can be found in my shop. You can make inquiries regarding fabric in my Facebook Group. Post what you are looking for there because there are several shops in the group and one might step up and kit what you are looking for. Thanks for letting me share and have a happy holiday season with your families! 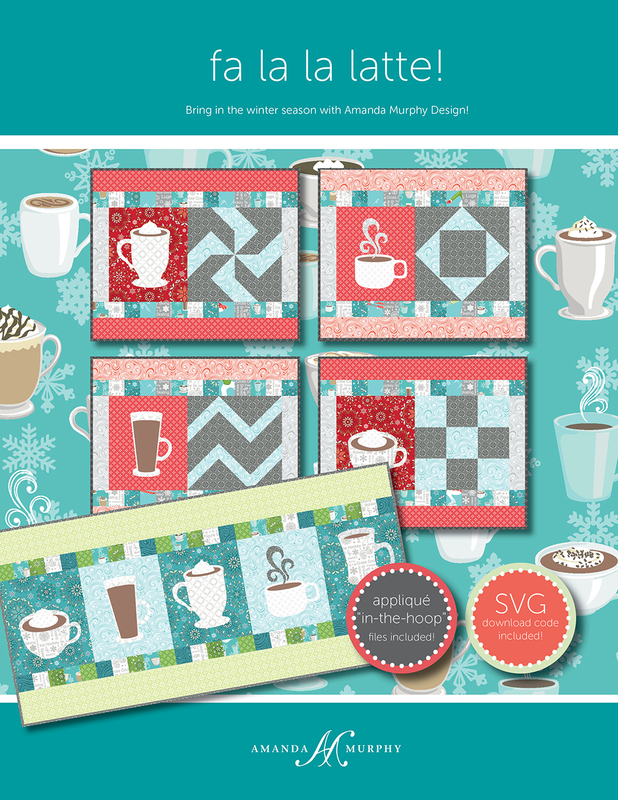 Previous post: Introducing Winter Games (and a blog hop with giveaways)! 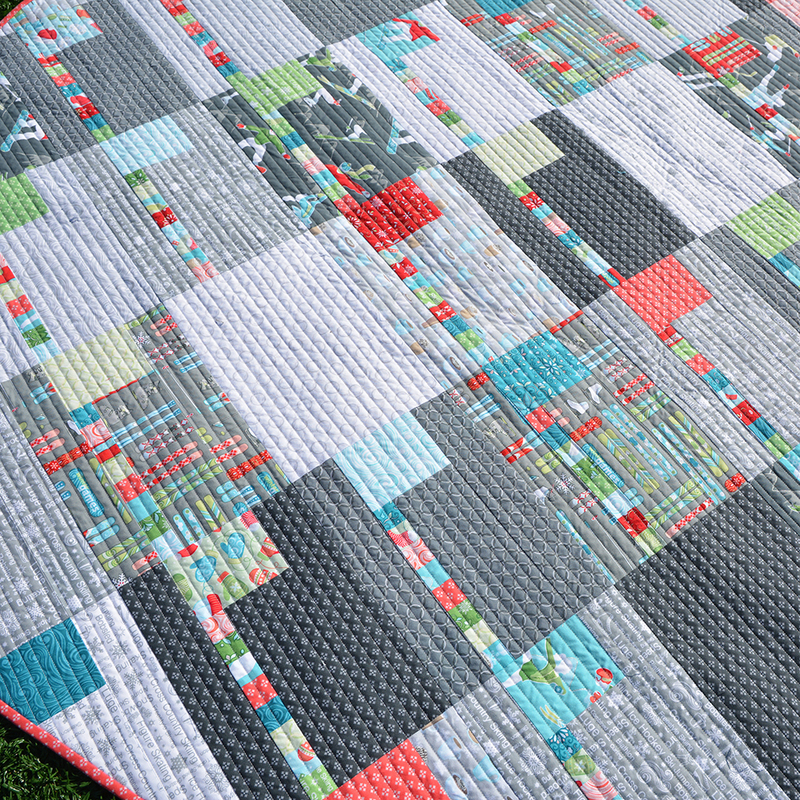 Next post: The Meadow Dance Panel and the Sew Steady/Aurifil Giveaway!